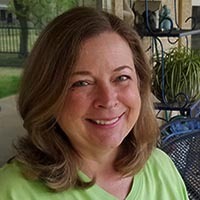 I arrived home last evening after visiting my sister in Iowa for a few days. 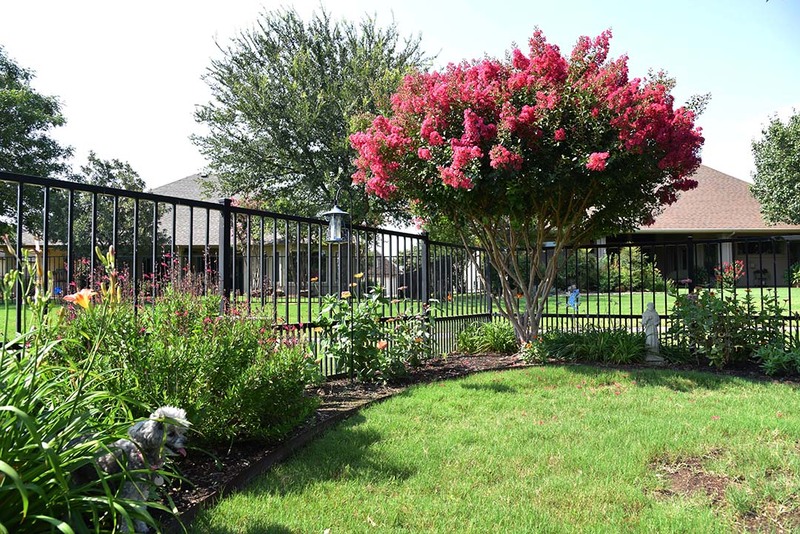 The crape myrtles are one of my favorite small trees, and those in my garden bloomed while I was gone. My yard is decked out with numerous crape myrtles in various shades of pink, and the view from my back porch is beautiful this time of year. 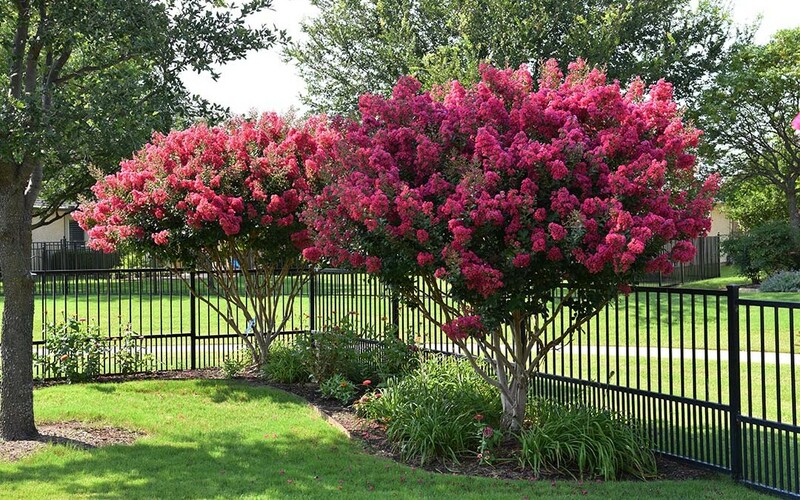 It was quite hot today, but I went outside anyway and enjoyed my crape myrtles. 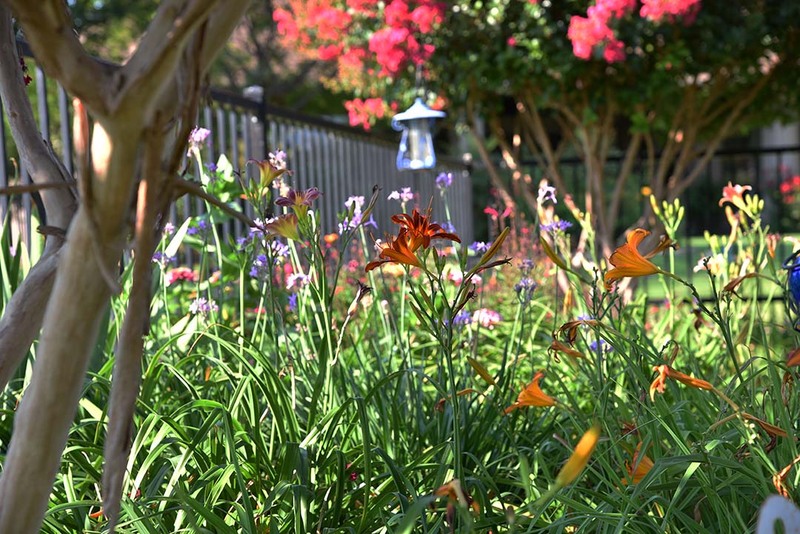 Along with the crape myrtles, my garden is bursting with perennial and annual flowers. The daylilies began blooming in April and peaked a few weeks ago. And now, the zinnias have started to flourish and will attract butterflies and hummingbirds throughout the summer. The garlic chives and autumn sage in the garden appeal to them, also. For the first time, I’m growing Mexican sunflower and milkweed for the butterflies. A few monarch butterflies fly through here each year, and I’m trying to create a habitat for them. 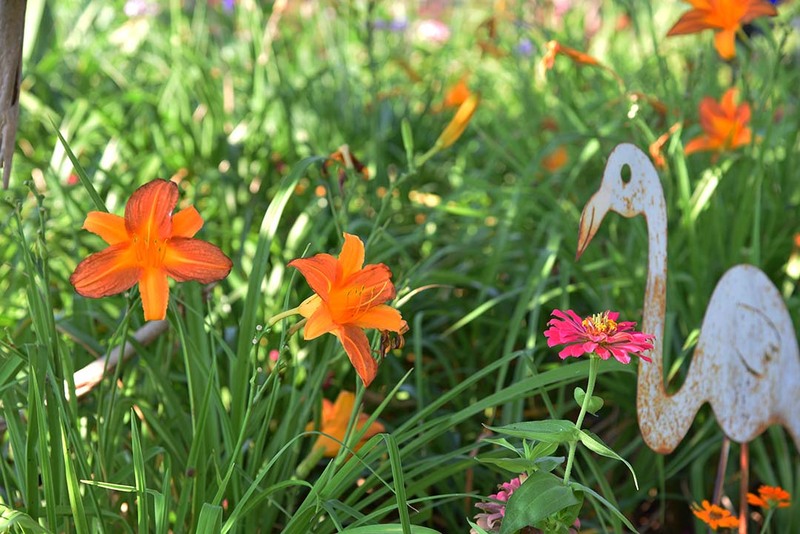 Pieces of whimsical yard art are scattered among the flowers. Izzie looked the garden over, too. But she was more interested in chasing the mockingbirds and wrens. See her hiding under the daylilies. Some of the pots out on the back porch needed new friends, so I stopped at Calloway’s Nursery today to pick up a mix of flowers and herbs. Having herbs on the back porch make it handy to cut a sprig or two when I cook. I also bought some tomato plants that I’ll plant in the vegetable garden for a fall crop. I like the Celebrity variety as they have a wonderful flavor, and they are a good tomato for canning. A storm front is predicted to come through the area early tomorrow morning causing the temperatures to drop into the 80s for a few days. 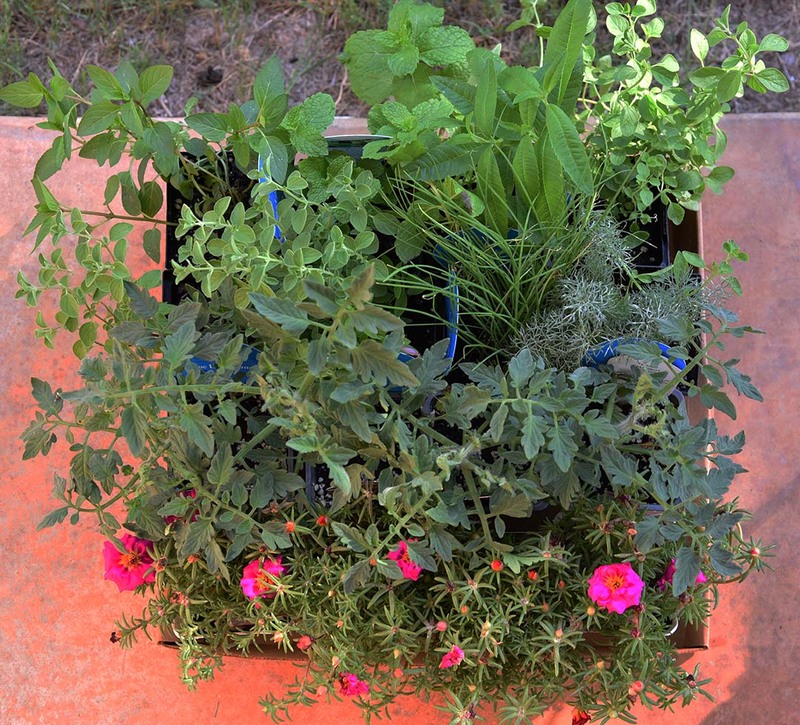 The cooler temps will be a welcome relief, and I’ll spend much of my time in the garden and on the back porch as I plant tomatoes and pot the herbs and flowers. I also may sit back and relax with a good book and glass of wine. Please join me on my back porch, and we’ll enjoy my lovely crape myrtles together. I share this on FB. Do you get to see the comments and likes. I get quite a few. I do see the comments. I love hearing from everyone.